Аналоги: 22. Даташиты: 20. Инструкции: 3. Новости: 9. Остальное: 12. Производители: 2. Профиль пользователя: 2. Форум: 9. Eimac, now part of CPI's Microwave Power Products Division, was founded in 1934 as Eitel-McCullough, Inc. The company’s first products were transmitting tubes with the high performance and stable design features that were required by the Ham radio community. Under the leadership of the founders, Bill Eitel and Jack McCullough, the company grew and expanded to meet the needs of the U.S. military during World War II. Eimac continued to advance the technology and developed modern, high-power ceramic tubes which incorporate innovative Pyrolytic graphite grids for short-wave and UHF television broadcast. Regarded as a technical innovator, Eimac has become the worldwide leader in broadcast tubes. 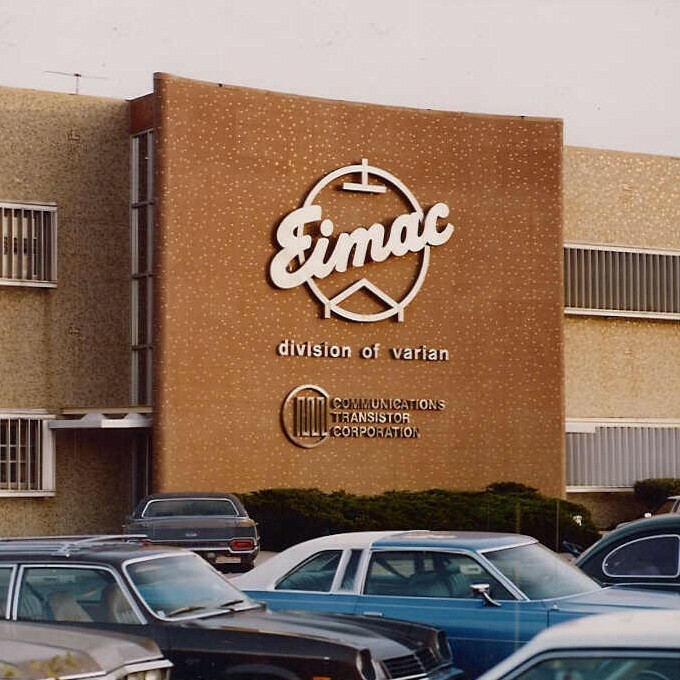 Eimac designs and produces power tubes for broadcast, communications, radar, industrial heating, semiconductor processing, science and medical applications, with customers located in virtually every country in the world. All Eimac tubes are made in the U.S. Copyright. Техподдержка: support@rh.md. Кодинг: xoops.ws. PHP: 0.206 сек. MySQL: 42 запросов.